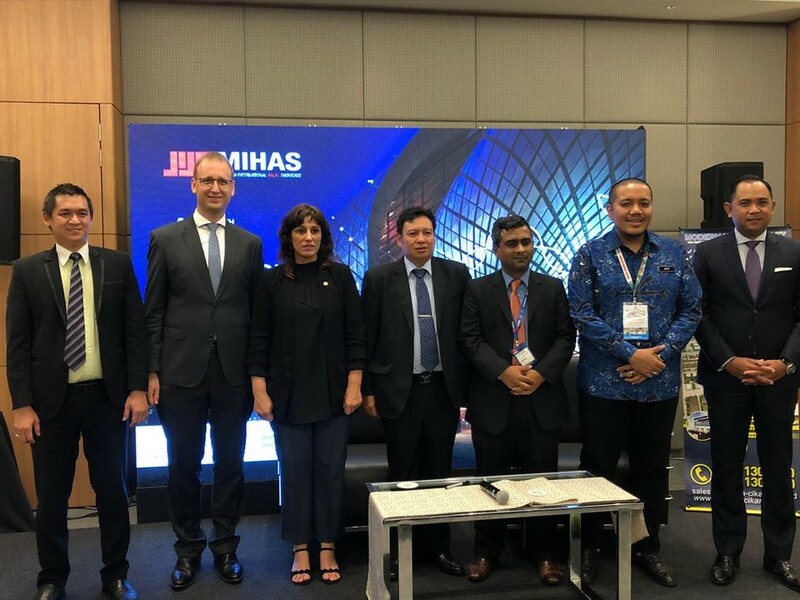 Modern Halal Valley from Indonesia officially launched the ‘Halal Cluster Network’ during MIHAS 2019 in Kuala Lumpur. MOUs were signed between Modern Halal Valley (Indonesia) and Iskandar Halal Park (Malaysia), Penang International Halal Hub (Malaysia), and Cluster Halal Córdoba (Spain) to start the Halal Cluster Network. The Halal Cluster Network links local, regional and international halal clusters together, as the full potential of halal parks can only be achieved when working together. The goal of this global initiative is to achieve synergy advantages for halal clusters and its industries based in a halal cluster. Amongst others areas of collaboration are on halal assurance, sourcing, market access, joint promotion, and research & development. As Indonesia is hosting the largest Muslim population in the world, the country is also the largest halal food market in the world, second largest halal cosmetics and fourth largest halal pharmaceutical market. It has a fast growing middle class, driving domestic demand for high quality halal products. Halal Indonesia is recognised internationally as a preferred halal brand to have for halal industries, due to its transparent halal standard, efficient halal certification process and global market access. Indonesia possesses an abundance of fertile soil thanks to its volcanoes and the tropical climate. This spurs the biodiversity and enabled the country to become the largest producer of a variety of important agricultural commodities such as palm oil, cloves, cinnamon and coconuts. Indonesia ranks second in the production of green beans, vanilla, natural rubber; third in rice, cocoa as well as nutmeg, mace and cardamoms; and is a leading producer of abaca, coffee and sugar cane. Leveraging on its strong natural resources, labour force, and halal brand, Indonesia is in an excellent position to develop a global halal production base to produce halal food for the world. In line with the vision of the Indonesian Government to make Indonesia a large halal production base for the world, Moderncikande Industrial Estate is realizing Indonesia’s vision in establishing a complete halal ecosystem for halal food and related industries. Modern Halal Valley is located in the Moderncikande Industrial Estate in Cikande (Banten), just 52 km west from Jakarta on Java Island. The Moderncikande Industrial Estate has direct highway access through the recently opened Cikande Toll Gate, linking Halal Valley directly to Java’s seaports, Soekarno-Hatta International Airport, and Indonesia’s metropolis Jakarta. Modern Halal Valley is a 500-hectare development, a green halal industrial zone, embracing Islamic values throughout its development. Modern Halal Valley is a new generation of modern industrial parks, meeting the highest standards in halal, food safety, and environmental sustainability. Modern Halal Valley is a halal cluster, extending its reach far beyond the 500 hectares of Modern Halal Valley land.